Have you ever overheard two people having a chat? May be you were in a restaurant, or a classroom, or on the train, or any in public facility. Did you notice that sometimes one person is more expressive and talkative than the other. Sometimes that person does 99% of the speaking and leaves only 1% for the other. In such instances you probably formed a pretty good idea of the personality of that talkative person. You could sense their general attitude and mindset, some of their values and interests, and even some of their habits. But what about the other person, the silent side of the conversation? I bet you would assume you had very little clues about the personality of that person. I would like to challenge that notion. I think the amount of information available to you about each individual in the above conversation is close. But because we are not trained listeners, we fail to attend to the rich clues about the other person just because they are of a different kind than the clues we are accustomed to attend to. We tend to paint all quiet individuals with the same brush. We assume they are shy, timid, and introverted. In the field, in critical situations, many quiet people surprise us with the amount of knowledge they have, the level of skill they have mastered, the contentedness and composure they have displayed, or the level of energy they have shown. It is not their fault that we could not see this about them in the first place. It is just we have been conditioned to attend to a certain type of clues about someone’s nature or personality, and thus we have become captive to this conditioning. The negative consequences of our lack of ability to listen and attend to a wider range of clues are detrimental and often catastrophic. Even when we live the miserable outcomes of such catastrophes, we fail to figure out that our lack of the appropriate skill of listening have contributed to the situation. Families fall apart, spouses break up, children get psychologically bullied and abused by their parents, peers and teachers, yet the perpetrators have no clue how damaging their behaviour is. 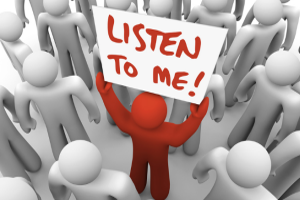 I will dedicate another article to explain proper listening skills and optimal role is enhancing the quality of our experience in this life. 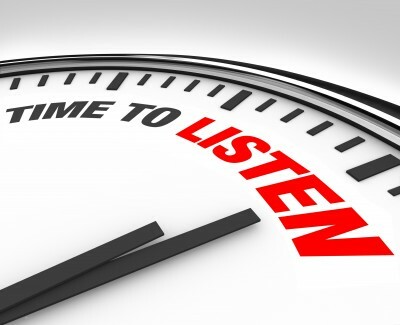 Today I will explain how our listening style is so telling about our vulnerabilities, fears, feelings of insecurity, and a whole lot of things. Most probably you have heard the good advice: listen with your ears, not with your tongue. Most of us are interested in what we have to say, but have no interest for what others have to say; so we just fake it! We often finish the others person sentence for him/her and take over the conversation. We feel compelled to judge what the other person says; we make sure we correct them and educate them. That other person doesn’t have to be a stranger or your colleague; more often that person is your spouse, you child, or even your elderly parent! Before we begin let’s establish some context. First, a conversation signified a relation of complementation. 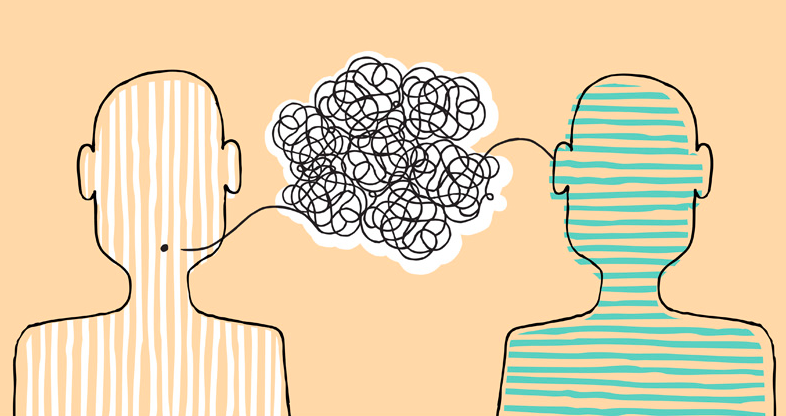 A conversation attends to the needs of both individuals. If we have a chat, I need you and you need me in a sense. I have a purpose of this chat, just as you have your own purpose of that chat. Otherwise, it ceases to become a conversation. Even in conversations where the balance of power leans to one side, each person needs the other for the conversation to be meaningful. Now let’s turn to the revealing nature of one’s listening style. I will first deal with negative habits. Disinterest in what the other person has to say: This reveals a feeling of superiority, either of status or of knowledge, over the other person. In limited cases this may be justified. But in most instances it is false sense of pride and haughtiness; an attitude of either obvious or hidden disdain and contempt to the other person. Finishing the other person’s sentences: This reflects the same sense of pride described above. In a more explicit fashion this person is telling the other to stay quiet because the first already knows this and is more entitled to the take the time to say something of value. Judging what the other person said: This may reveal a deep sense of insecurity. When one feels threatened by someone else’s statement, they will feel urged to defend their position. Their deep sense of vulnerability pushes them to defend themselves and try hard to dispel what the other person said. If you have an attentive ear, you would often notice that you innocently say something, yet you set in motion a chain reaction in the other person’s mind. The reason was probably that that person felt threatened by what you said. For example you described how you sweated your way to a great accomplishment. Being insecure and having feeling of inadequacy, the other person dash in with an attempt to undermine the value of your accomplishment or starts talking about him/herself in an attempt the fix the state of imbalance created by his mind. Dominating the conversation: just like the conversation you heard in a restaurant or on the train, there are those who can’t resist their urge to dominate almost every conversation. There are many possible reasons for this phenomenon. Over the years I have developed an ability to see through this behaviour and recognize the nuances and what they reveal. Oftentimes the person has a chronic need to assert themselves and being talkative while silencing everyone else temporarily satisfies this need. There are many people out there who fail to recognize their intrinsic value as human beings and thus seek to draw it from external sources; dominating conversations is one of the most popular ways to do this. However, if you train yourself to listen carefully you will easily spot people who suffer from this and you can see their desperation for recognition in almost every word they say. If you don’t lend such people an attentive ear, they will most likely take you as an enemy. So be careful! This need often develops into a habit so the person can’t stop talking even when they don’t need validation from others. This makes it hard sometimes to recognize the hidden need for validation. Staunch Disagreement and disrespectful challenge: you may have had such an unpleasant experience where you innocently stated something to find out you have flare the other person’s emotions. What an experience! People who are staunch and adamant about an issue that accommodates difference of opinion are often emotionally immature. They can’t stand the fact that others have the right to develop their own opinions about an issue. They will take your innocent expression of your opinion as an insult and a personal attack. Believe it or not, parents do this the most and get away with it. And it is so common that we (parents) don’t even notice that we behave this way. These interpretations merely what I have learned from observation and research in psychology and coaching literature. Please be careful and avoid generalizing what you have just read. Don’t use it to label others or judge them. It takes a lot of observation and experience to see through such habits and it is easy to misinterpret them. My purpose here is to draw your attention to the fact that our listening style may be more revealing of who we are than out talking style. It sends unconscious subliminal messages to the other person including our spouse, children, parents, friends, and strangers. Out listening style is a form of self expression that is massively revealing of our inner world. Mysteriously many relationships fail, numerous potentials are wasted, and loads of opportunities are aborted and the undercover perpetrator is our listening style which reveals traits we do our best to camouflage through other forms of explicit expression. In a future article, I will insha’Allah talk about strategies and techniques that will enhance our communication experience. Peace! 2 Responses on The Expressive Quiet: How your style of Listening Reveals who You Are"
MashAllah shaikh, this is such amazing perception.. really helped a lot in analysing myself. Ur words are really wise mashAllah and if writing over khushoo is just SubhanAllah an awesome approach..